As of September 21, 2017, Canada has implemented a number of amendments to the Canadian Trade-marks Act related to the protection of geographical indications ("GIs"). The changes were implemented as a result of the Comprehensive Economic and Trade Agreement ("CETA") between Canada and the European Union. A geographical indication serves to identify a product if a quality, reputation or other characteristic of the product is essentially attributable to its geographical origin. It prevents the adoption and use of GIs by a third party whose product does not originate from the territory identified by the GIs. Previously, GIs only applied to wines and spirits in Canada. Commonly known examples include Champagne, Cognac and Bordeaux, indicating wines and spirits from France. 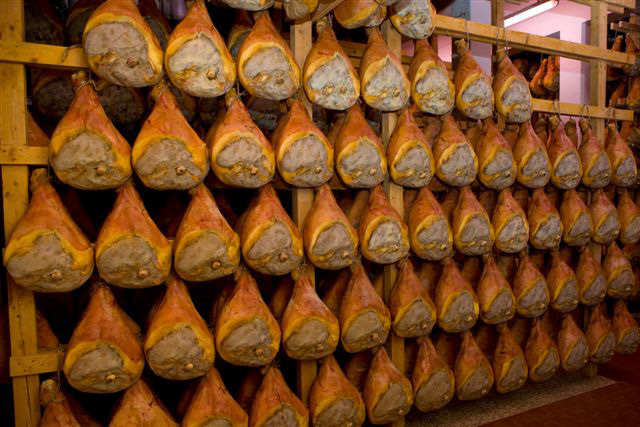 The amendments expanded the protection of GIs to certain agricultural products and foods, including cheeses (e.g., Asiago, Brie de Meaux, Feta), dry-cured meats (e.g., Prosciutto di Parma) and vinegar (e.g., Aceto balsamico di Modena). The current list of GIs can be found on the Canadian Intellectual Property Office’s website. As a result of the CETA, many GIs have been automatically added to the GI list in Canada. This list can be found in Annex 20-A of the CETA. The amendments provide a prohibition on the import and export of goods bearing a protected GI, if the goods do not originate from the territory indicated by the GI or if the goods were not produced in accordance with the law applicable to that territory. The amendments also expanded Canada’s Request for Assistance ("RFA") border security measures to cover GIs. The RFA process allows customs officers to detain suspected counterfeit goods at the border if the rights holders have applied to participate in the RFA process. This process, which was previously only available to registered trademark owners, has now been extended to GI rights owners. Once the goods have been detained, the trademark owner or Responsible Authority for the GI may take further action against the suspected counterfeit goods in Court. Additional information on the Request for Assistance program can be found in our previous publication, BILL C-8 Canada’s Combating Counterfeit Products Act. With respect to wines and spirits, GI protection is limited to those specific products. For example, the protected GI “Champagne” prevents others from using this term on wines that do not originate from France. It will unlikely prevent others from using Champagne on other goods. The CETA amendments introduced the concept of prohibiting the use and adoption of GIs on agricultural products and foods if the goods are in the “same category”. Therefore, in certain cases such as “confectionery and baked products” and “fresh and processed fruits and nuts”, protection granted to the GI may cover more than one type of product. In view of the expansion of GI protection, it is recommended that brand owners, particularly those in the food industry, consult with legal professionals to ensure that their existing and new marketing plans are in compliance with the GI amendments in Canada. Specific exceptions allowing use of “Beaufort”, “Nurnberger Bratwurste” and “Jambon de Bayonne”. A number of new grounds of objection have been introduced for objection proceedings against new GIs published by CIPO. These do not apply to the Annex 20-A GIs already added. One of the new grounds is that a GI for agricultural products or foods cannot be confusing with a previously used, filed or registered trademark. Therefore, it may be worthwhile for brand owners to consider monitoring publication of new GIs.